If I told you that you could eat one of you favorite foods, but with half the fat and 1/3 fewer calories, would you be interested? What if that food also came in yummy flavors like Mint Chocolate Drip and Triple Cookie Fudge Sundae? Sounds too good to be true, right? Well, it’s true and it’s delicious with Dreyer’s Slow Churned Ice Cream. Dreyer’s Ice Cream (also known as Edy’s for you East-coasters) has created something that you might not think was possible – a way to make ice cream that still tastes like ice cream, but with less fat and fewer calories. 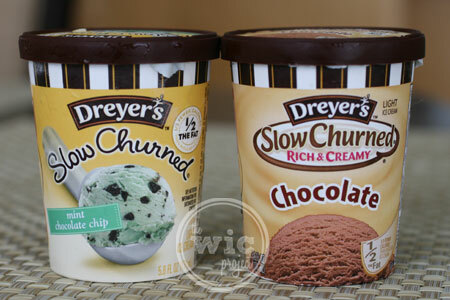 Dreyer’s Slow Churned Light Ice Cream is available in a variety of flavors, from my favorite mint chocolate chip to vanilla to Nestle Drumstick Sundae Cone. But what makes these ice creams so special, is that they have half the fat and 1/3 the calories of traditional ice creams. I don’t know what is involved in their “proprietary process”. 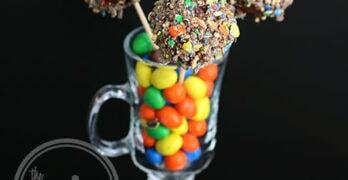 Maybe it converts fat to awesomeness or zaps calories into oblivion. Either way, the result is a wonderful light ice cream that tastes like “traditional” ice cream. 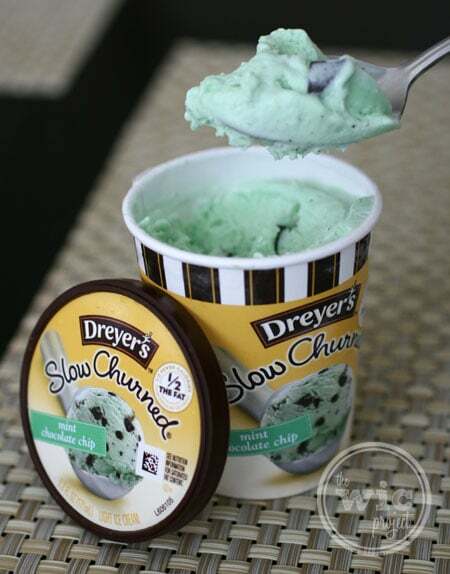 I decided to test out Dreyer’s Slow Churned Light Ice Cream with a cup of Mint Chocolate Chip ice cream. Did you know that this cup only has 120 calories and 4.5 grams of fat? That’s for the entire cup. I could definitely tell that the ice cream was made differently, the texture seems a little lighter (but then, it is “light” ice cream.) But the flavor tastes just like the mint chocolate chip I love. We also enjoyed a cup of good ‘ole Chocolate. Again, it tastes just like a regular “full calorie” ice cream. It had a great chocolate flavor and was a treat to eat. 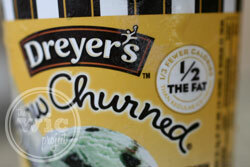 This was my first time Dreyer’s Slow Churned Light Ice Cream, and I’m glad I did. For a light ice cream that everyone in your family is sure to enjoy, you can find Dreyer’s Slow Churned Light Ice Cream in a freezer near you. This summer, Dreyer’s Slow Churned Light Ice Cream is turning scoops into smiles. Dreyer’s is attempting to giveaway more than 25,000 scoops of ice cream by getting 25,000 photos for “ice cream smiles.” In addition, for every photo uploaded to the Deryer’s Facebook page, $5 will be donated to Operation Smile. As if free ice cream wasn’t enough, ten smiles will be featured in a Dreyer’s Slow Churned print ad, and one picture will win a spot on cartons of a Slow Churned limited-edition flavor. So head on over to the Dreyer’s Facebook page to grab your free scoop of Dreyer’s ice cream, and to help support Operation Smile. Dreyer’s Slow Churned Light Ice Cream is made with the same quality ingredients as regular ice cream, but involves a proprietary process that takes more time – creating all the rich and creamy taste, but with half the fat and one-third fewer calories. 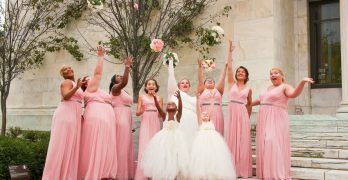 Disclaimer: I wrote this review while participating in a blog tour by Mom Central Consulting on behalf of Dreyer’s / Edy’s. I received a coupon to purchase product samples and a promotional item to thank me for taking the time to participate. The mint chocolate chip is my favorite !!! Did you know that Dreyer’s is a Nestle product? Nestle is not only a huge violator of the WHO Code but is huge violator of human rights. I would strongly suggest you research the business ethics of Nestle.